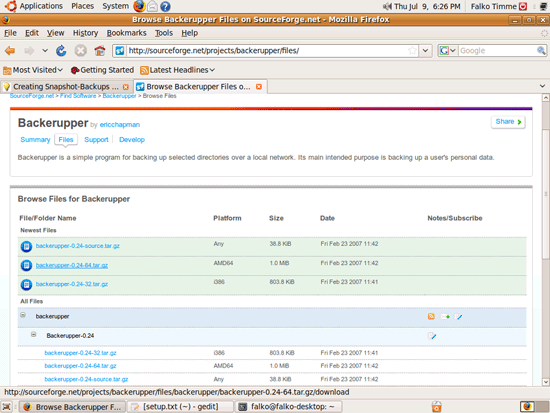 BackerUpper is a tool similar to Apple's TimeMachine. 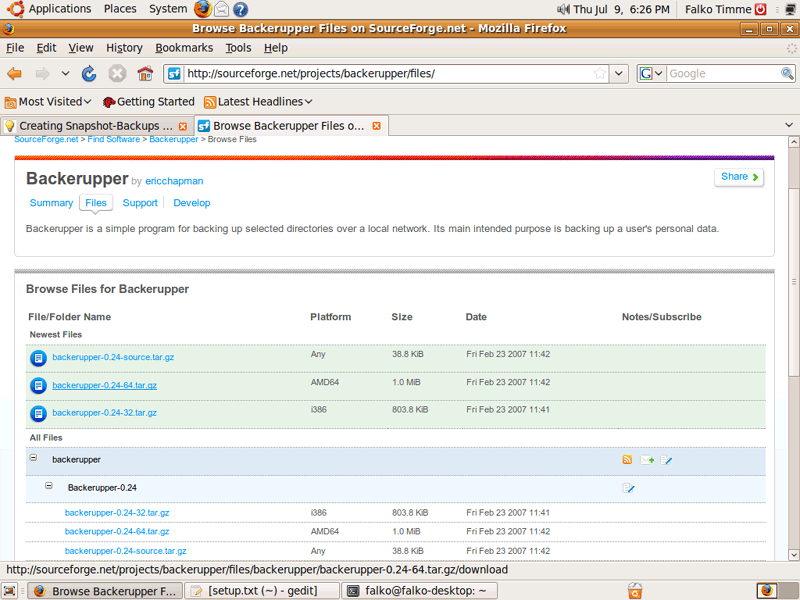 It is intended to create snapshot-backups of selected directories or even your full hard drive. 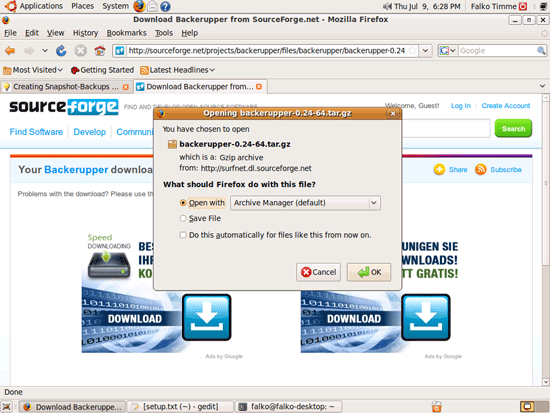 From the BackerUpper project page: "Backerupper is a simple program for backing up selected directories over a local network. Its main intended purpose is backing up a user's personal data." 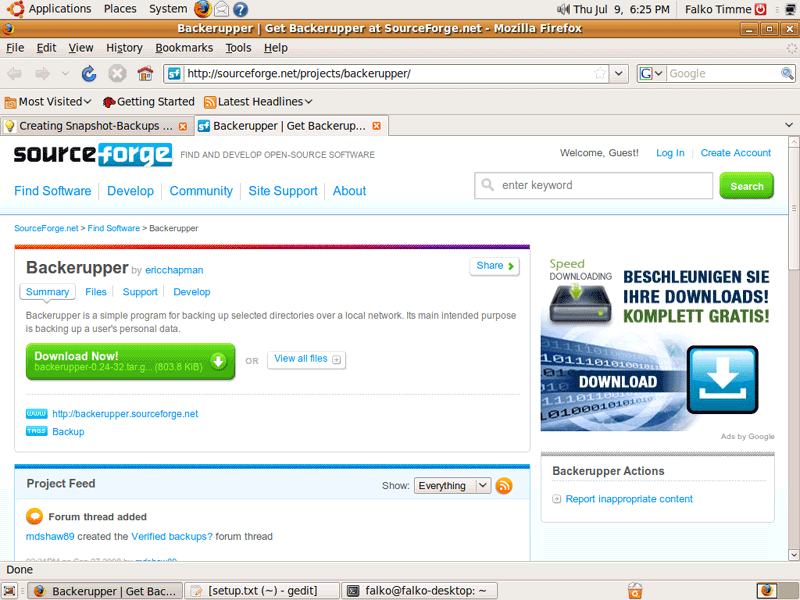 This article shows how to install and use BackerUpper on Ubuntu 9.04 (Jaunty Jackalope). 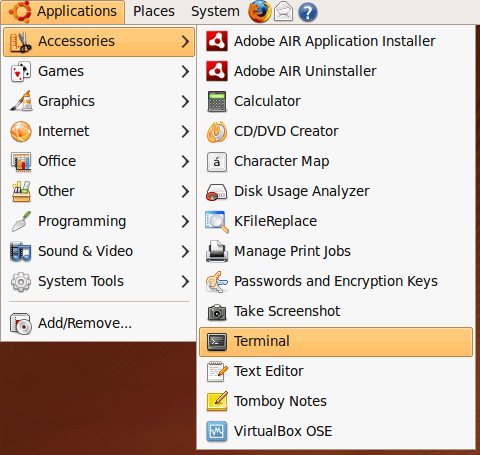 Next open a terminal again.